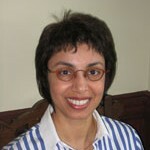 Dr. Rosemin Kassam is a tenured Professor in the Faculty of Medicine, School of Population and Public Health, University of British Columbia. Her global and local research focuses on promoting rationale use of medicines and health services by improving community-readiness, cultural sensitivity, self-empowerment, capacity building, and health literacy among various vulnerable and ethno-cultural groups. Her expertise and experiences include: (1) global health research to improve child and maternal health, (2) community-based and participatory research to promote health literacy and informed decision-making, (3) knowledge translation initiatives to support teaching, learning, and practice of frontline health providers, (4) mixed-methods and qualitative research, and (5) pharmacotherapy specialist in geriatrics. She has led and facilitated global health research to improve child health in Africa (CIHR funded) and Asia (CIDA funded). In a career spanning more than 30 years, she has received international and nation awards for her research and contribution to health care.